A Plasma side chain is a framework so blockchains can run off other blockchains. It is delegating some operations to another blockchain, then ultimately you going back and uploading the information to the main chain when a group of actions are complete. It is also a layer two solution as you don’t need permission to run a plasma sidechain. There is also no need for blockchain based layer changes for plasma to work. 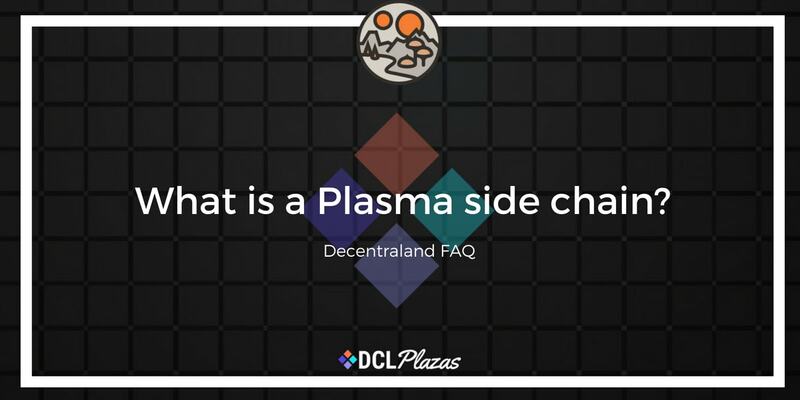 Decentraland is currently considering using a Plasma side chain as a solution to the scaling problem.